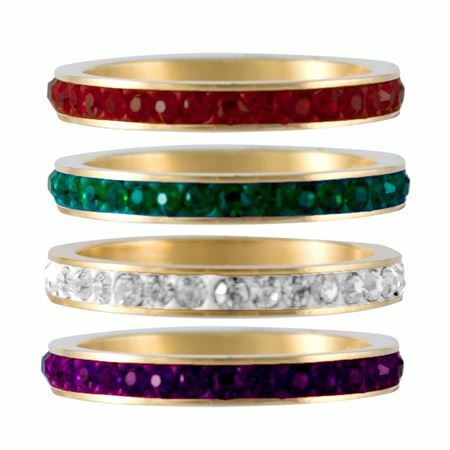 Classic 18K gold plated stack rings with rich jewel tone pavé crystals. 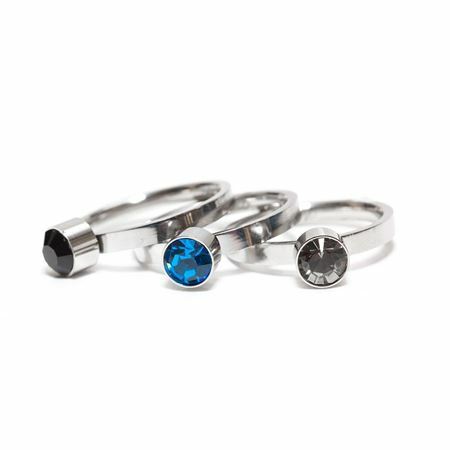 Solid stainless steel rings with genuine crystals can be worn individually or stacked together for a custom look. 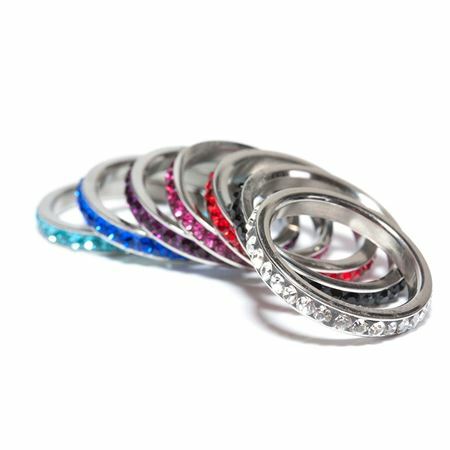 Step into the spotlight with these stainless steel rings featuring genuine Swarovski elements designed, to stack perfectly together. 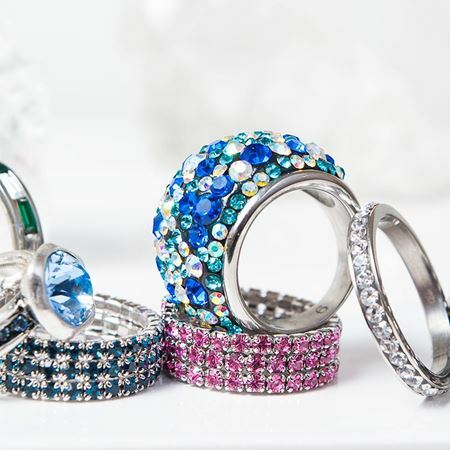 These stainless steel rings are set with a sparkling array of genuine crystals. Available in a selection of colors and patterns.